“Thank you to everyone for making their way here to this wonderful venue. We are so lucky to be given the opportunity to promote boxing here in Monaco and without everybody at the Monte-Carlo SBM this wouldn’t be possible. “We’re promoting over 50 shows a year Worldwide now and all kinds of different events. 90,000 at Wembley Stadium, last week we were in Kansas, next week we’re in Florence. This event is becoming a regular fixture on our international calendar. This is the third year running we’ve been here in Monaco. The shows keep on getting stronger and stronger, the fights get better and better. The demand continues to grow, and so does the international TV distribution, this show will be shown all around the World in all territories. “I am happy boxing in Monte-Carlo and I am happy boxing with team Matchroom. I couldn’t understand what my opponent was saying but it sounds like he is a very humorous guy, a very fun guy. I am trying to live the same way, I am a fun guy as well. I’m really happy that he comes with an amazing attitude for Saturday’s clash. “It’s a real honour to be here, it’s a beautiful place. Thanks to Eddie Hearn and Matchroom Boxing for having me. We’ve had a great camp and we’re ready to show the World what they’ve been missing, what we can do. I truly believe that this fight has come at the perfect time for me. Denis has been a great Champion in the past but I believe that I’m getting him at the right time. His best form is behind him. 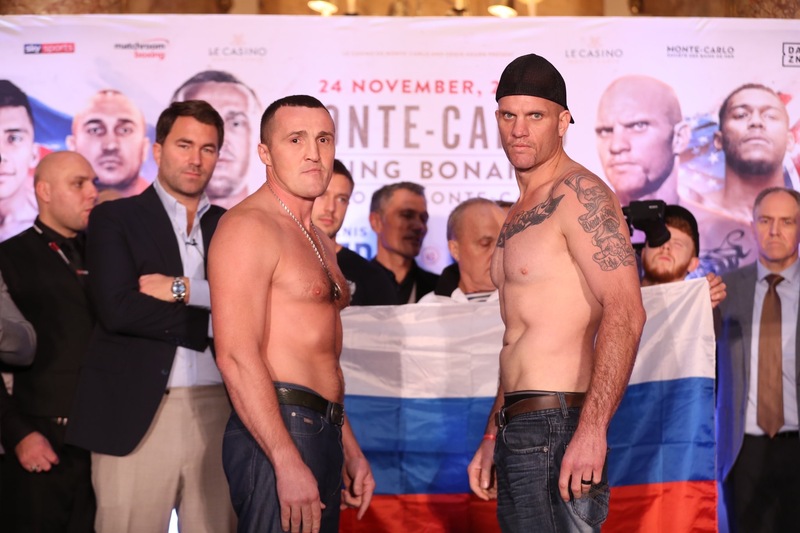 This is going to be like Rocky 4. I feel good about this, I really do. I’ve come here to give all of you guys a good show and hopefully we’ll be back here. “First of all I would like to thank Matchroom Boxing, DAZN and Sky Sports for having me. If you guys don’t know me, you’ll get to know me a little bit more come Saturday. I’m usually an action-packed, exciting fighter. I’m just ready to showcase my skills and burst onto the Heavyweight scene. Come Saturday you’ll see me perform and do my best. “Thanks for having me everyone. I’m very excited to be here. On Saturday night I’m going to put on a great show for everyone. I’ve had a great training camp, I’m ready to show my skills once again, show my explosiveness. Everything that you see on Saturday night I’m sure you won’t forget. “It’s a lovely experience to be here.What a prestigious venue, and taking it all in and enjoying the different experience. I feel very privileged to be here. I put the work in in my training camp to show how much I’m looking forward to fighting. 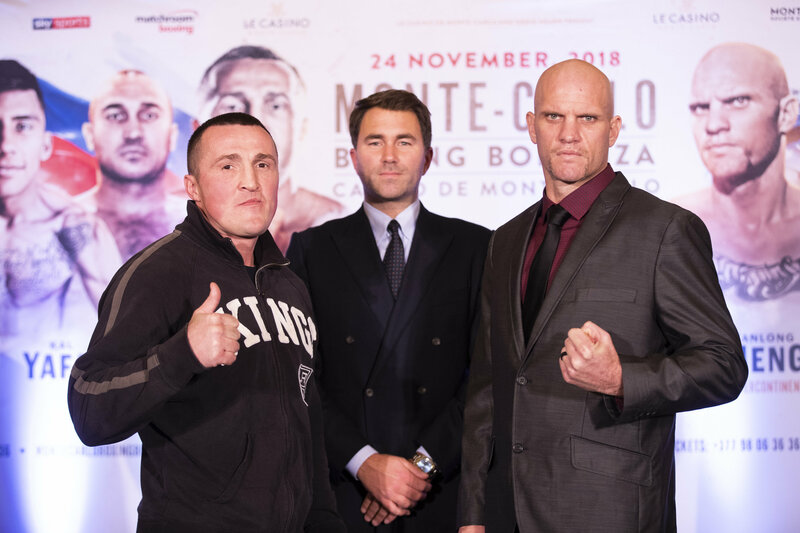 NOVEMBER 23, 2018 – Roc Nation Sports light heavyweight boxer Meng Fanlong (13-0, 8 KOs) will make his highly-anticipated broadcast debut on DAZN on Saturday, November 24 at Le Casino de Monte Carlo in Monaco. The event will be promoted by Matchroom Boxing. Fanlong – the reigning IBF Intercontinental Light Heavyweight champion – will take on England’s Frank Buglioni (23-3-1, 16 KO’s) in a 10 round IBF Intercontinental title match, which will be his most high-profile fight to date. With this bout, Fanlong has his sights set on propelling his ascension toward the top of the light heavyweight ranks. This fight will mark Fanlong’s first fight since July 20, when he defeated Chris Eppley via first-round TKO at the WinnaVegas Casino & Resort in Sloan, Iowa. Tickets for November 24 start at €400 and will be available to purchase via www.montecarlolive.com, emailing ticketoffice@sbm.mc.